We all know that putting handy widgets of social networking sites on our blog is one of the best ways to keep our readers and web visitors to follow us on social networking sites like Facebook, LinkedIn, Twitter, etc. I have earlier covered on how to embed LinkedIn Profile, Facebook Like Box, Facebook Chat Widget, in Blogger and today I will talk about how to embed YouTube subscribe button on your Blogger blog. I don’t think, I need to give an introduction to what YouTube is? YouTube is a website that has been specially designed for sharing videos. It was created in the year 2005 with an intention for people to upload and share original video contents. And since then, it has also become both an archive for storing favorite clips, songs, and jokes, as well as a marketing site for companies to promote their products and services. Today, millions of people around the globe use and create accounts on YouTube and each minute more than 35 hours of videos are being uploaded on YouTube. Nearly every blogger nowadays have a YouTube channel and these allow them to share their resources and information with their audiences. But getting subscribers seems to be quite difficult. Right! But lucky as you already have a blog or a website, YouTube offers a simple tool that allows your readers to easily subscribe your channel right from your blog. Embedding your YouTube channel subscribe button in Blogger can have a great effect on your YouTube channel. You create a bridge between YouTube and your readers to directly subscribe to your channel without having to visit the YouTube site. If your readers or website visitors subscribe to your YouTube channel, you will be able to qualify for YouTube videos monetization and earn money. Embedding your YouTube channel subscribe button on your blog will not only increase your subscribers but will also so your social presence. 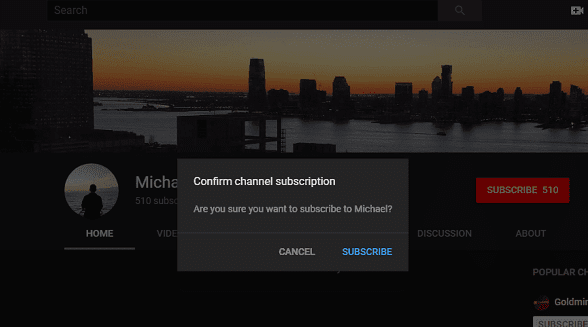 Adding YouTube channel subscription button is a very easy process. You can use the below two methods to collect new subscribers for your YouTube channel. You can use these same methods and add YouTube subscribe button not only in Blogger but these methods also work with other platforms like WordPress, etc. So, let us learn one by one how you can embed it on your Blogger blog. You can collect new subscribers for your YouTube channel by simply adding a text link on your blog posts or create a custom image for your sidebar that matches your blog design. In order to add a text link, you just need to copy the below code and this will create a link like this, Subscribe to my channel! When your readers will click on the "Subscribe to my channel" link it will open a new tab and will take them to your YouTube for confirmation. Note: Replace the highlighted text with your own link text and username with your own YouTube channel name. 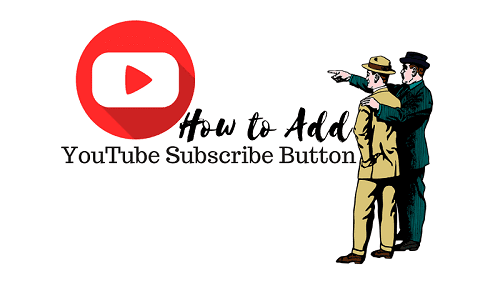 YouTube also offers a button that you can place on the sidebar of your blog and this will display your channel with subscriber counts as well. 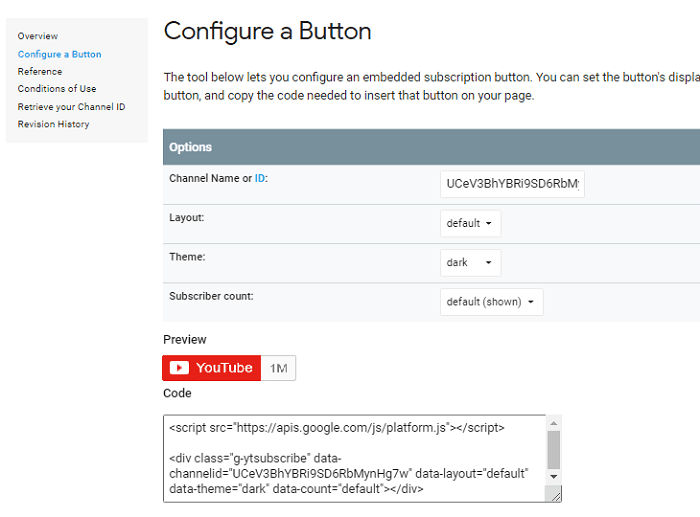 You have to just visit YouTube Developer page and configure your button such as Channel Name or ID, Layout, Theme and Subscriber count (In subscriber count you can show or hide the number of subscribers you already have in your YouTube channel). 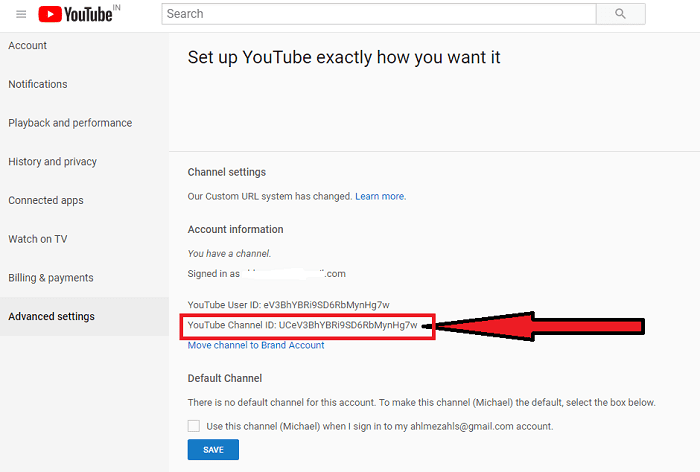 If you don’t know how to get the name of your YouTube channel or the unique channel ID, click here. You can also use the same code if you want to add a subscription button to your blog posts. Note: Replace the above-highlighted channel ID with your own YouTube channel ID. The YouTube subscribe button is available for all channels — big or small. Needless to say, this will save a lot of time for your visitors as they won’t be forced to search around to find your videos on YouTube.